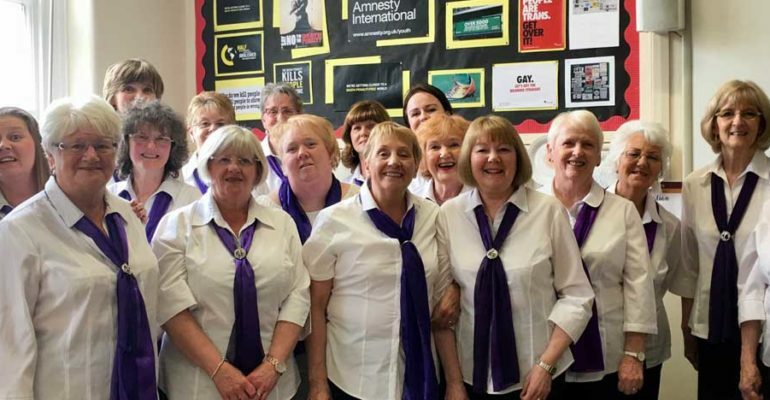 It was a lovely Afternoon on the 12th Of May and The Ladies from Blackpool Soundwaves we’re looking forward to singing their two songs at the Lytham Saint Annes music Festival of choirs. For our first song we sang was Happy Together and our second song was Moon River. Both songs were sang with enthusiasm and well received by the audience. It was lovely to see so many people enjoying the musicality of such great choirs.